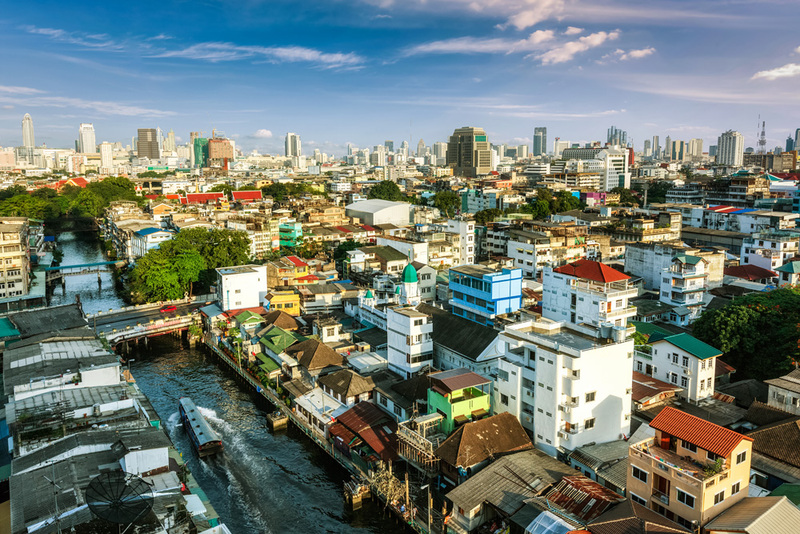 The city of Bangkok is an incredible city, full of exciting experiences, incredibly culture and breath-taking views. 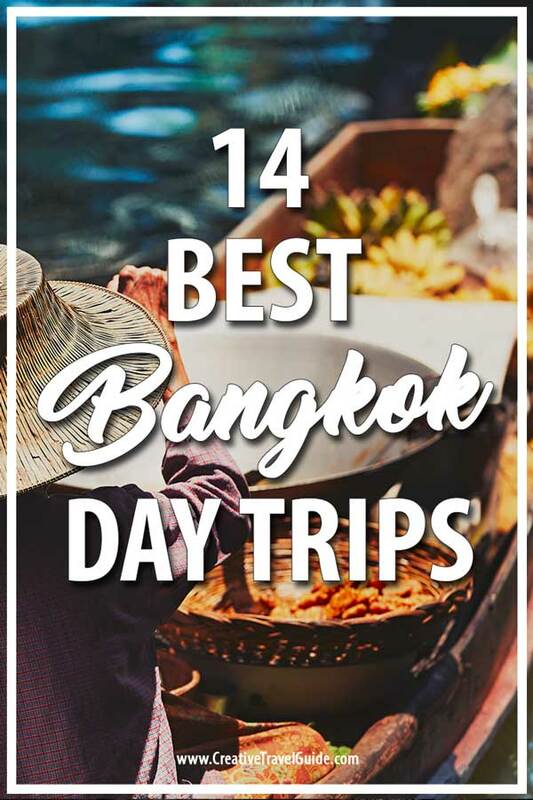 However, one of my favourite things to do in Bangkok is to get out of the city and enjoy some of the 15 best Bangkok day trips, Thailand has to offer. When you’re planning a trip to the city, make sure to plan extra days for some of these trips that can give you a unique experience from the hustle, bustle and grime of the city centre. 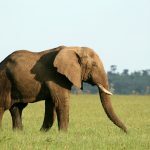 Thailand is a beautiful country and I would always encourage a full Thailand Itinerary for those heading to South East Asia, or at least an exploration of Central Thailand. 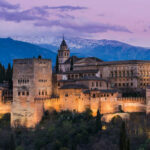 This day trip is perhaps one of the most popular and for good reason. As the former capital of Thailand, Ayutthaya is home to ancient crumbling temples straight out of a Lara Croft film. Explore the ruins, eat fresh local food and you can even enjoy a visit to the Bang Pa-In Royal Palace; a palace used during the summers by the Royal Family. 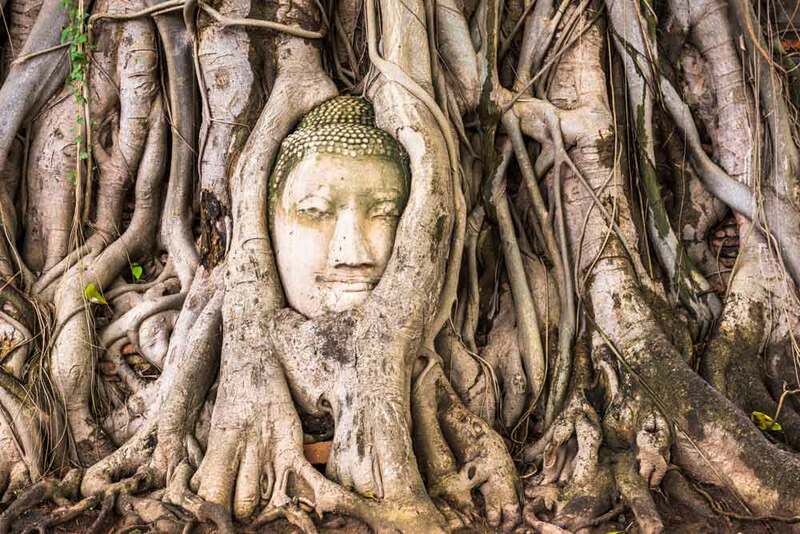 Plan your trip to Ayutthaya before leaving Bangkok and consider hiring a car or motorbike to explore at your own leisure. There are many different floating markets in and around Bangkok and those further away are quieter and less touristy. You can book on tour groups but we personally prefer booking a private tour, that way we can personalise our day and see the floating market at our own leisure. You can experience a private tour with a local who can share their knowledge and help you try the best foods and bargain for the best deals whilst you shop along the waterways. Just two hours from Bangkok city centre is this island getaway. Known for being the island which King Rama IV, V and VI all came to with their family, you can still see the remains of the palace and a small museum. 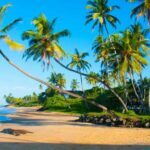 There are also Buddhist temples and beautiful views from the cliff tops and of course, miles of glistening beaches. Steeped in history, the city of Kanchanaburi is well visited. 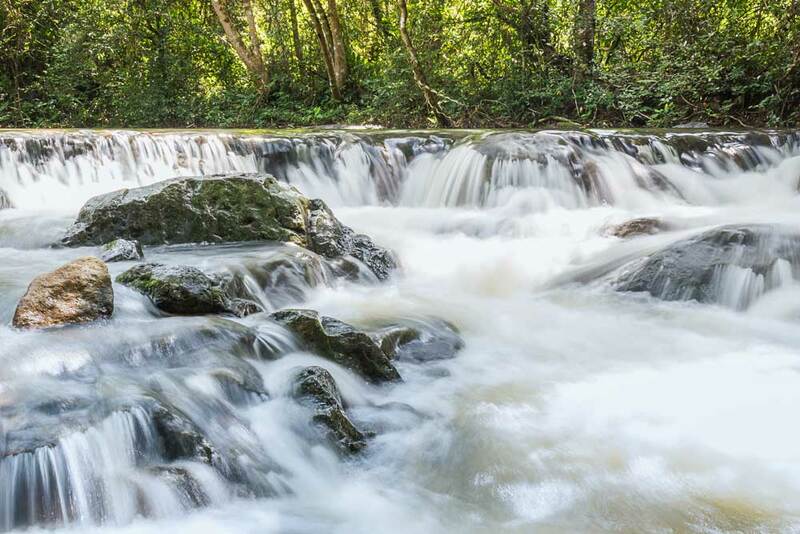 You can see the bridge over the River Kwai or visit the enchanting Erawan Falls. One of my all-time bucket list items is staying at The Float house Hotel on the River Kwai – it looks like heaven! Koh Kret can be found in Nonthaburi province and is a river village, not too far from the city. This man-made island has some incredible temples, with the best, arguably being Wat Paramaiuikawa; a 2000-year-old golden stupa that is rumoured to hold the Buddha’s relics. 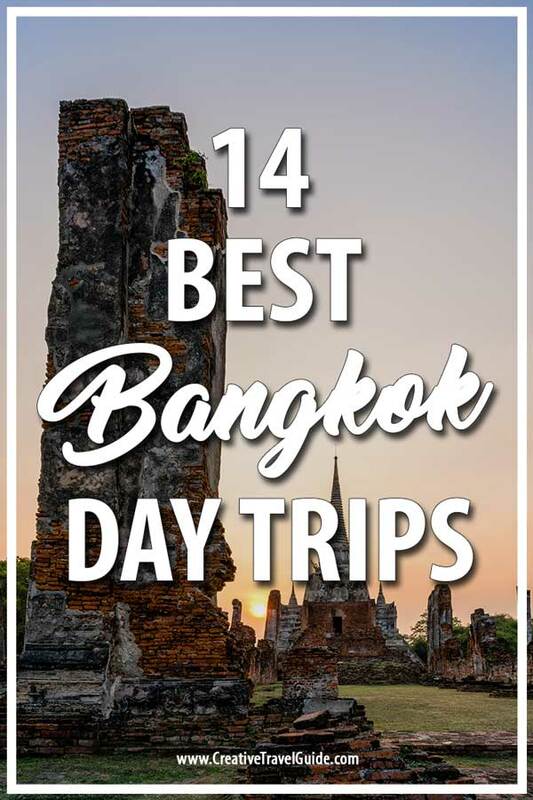 Ok, this one isn’t ancient at all but it’s a fun day trip from Bangkok if you have some time in the city. This is a miniature historical Thailand, with recreated mini buildings and temples from across Thailand. This is an impressive collection of detailed buildings and monuments from Thailand’s history which spread across vast grounds. As mentioned above, this national park isn’t too far from Kanchanburi but it is worth setting aside a whole day to explore. 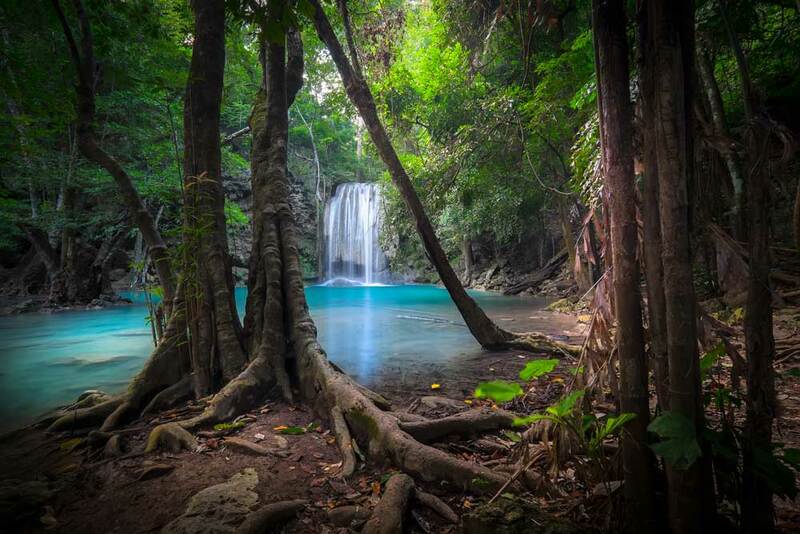 The major attraction in the park is the Erawan Falls; a 7-tiered waterfall that crashes down to create emerald green ponds/ You can follow trails around the park to get various angles of the falls and just enjoy some peace and nature outside of the city. The Ta Duang Cave and Thung Na Village are also popular attractions to visiting when visiting this national park. This park is so big that it even reaches the Cambodian border but it is regarded as one of Thailand’s national treasures and as such, should be included on your next trip to Thailand. You can hike or raft around the park and enjoy simply stunning views from the mountains. Thailand have some awesome vineyard experiences and this is definitely a favourite. Sample wines whilst being rowed along lanes of waterways surrounded by a harvest of white Malacca grapes = perfect. As a running theme, I am clearly a fan of a vineyard or three! Next to the Khao Yai National Park is a relaxing experience that offers trams to transport you around the 1000 acres of plantations and vineyards. You will learn more about the production process and of course, sample some of Thailand’s most amazing wines. This island is a great escape from Bangkok, full of wooden paths, greenery and markets. Rent a bike and cycle around the island, taking in the cute coffee shops and visiting the Sri Nakhon Kuenkhan Park. If you are looking for a bit of adventure, you can get to Climb Central within an hour from the city centre. You guessed it, this is a rock climbing haven for sporty types to enjoy on the weekends. Follow your climb with some incredible Thai dishes at the nearby restaurants including the spicy stir-fried deer. Lopburi can be explored over a day or a few but is a hidden gem amongst the towns surrounding Bangkok. Similar to Ayutthaya, it has its fair share of ancient Khmer temples and splendid Buddhas as well as cute guesthouses and tasty local dishes. Pattaya was too much for us but Hua Hin offers the right mix of gorgeous golden beaches, hang out bars and boutique cafes whilst also offering some great local food and the Cicada Market – one of my favourite night markets. 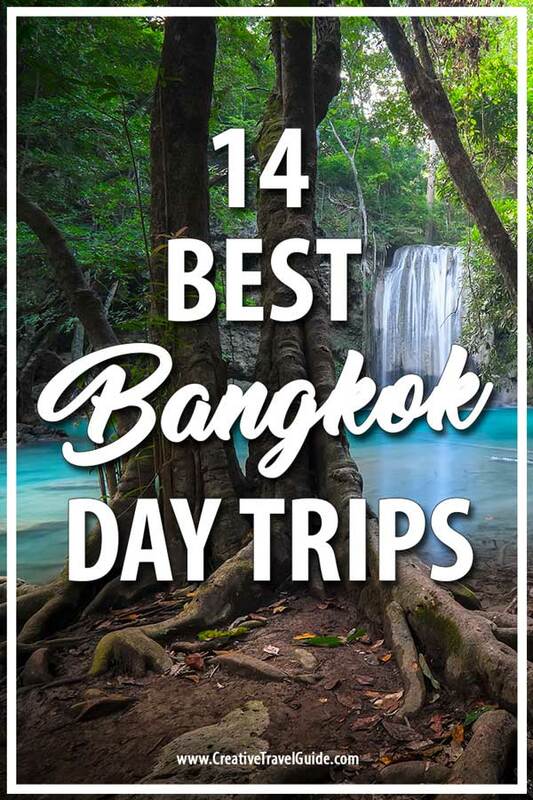 So those are 14 of my favourite places to visit outside of Bangkok – get exploring and share your favourite destinations in Thailand in the comments below. 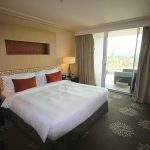 Wineries near Bangkok? I had no idea. Adding Khao yai winery and the floating vineyard to my wishlist! I would love to explore a Thai floating market. I have seen the ones in the Mekong Delta in Vietnam and they were fascinating. I can imagine the ones in Thailand are so pretty as well.